This section is to honor our authenticity and divinity, after all, we are a Spark of Divine Light. I invite you to read and allow yourself to inmerse in what rings true to your heart. "When was the last time you touched your beating heart? When did you stop wrapping your arms around yourself? 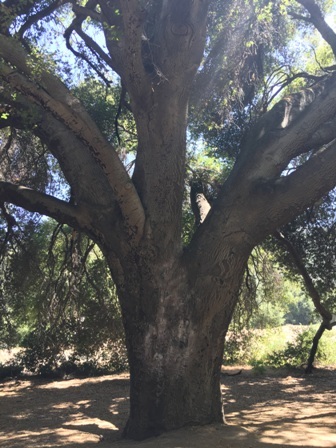 When did you last caressed the trunk of a tree? 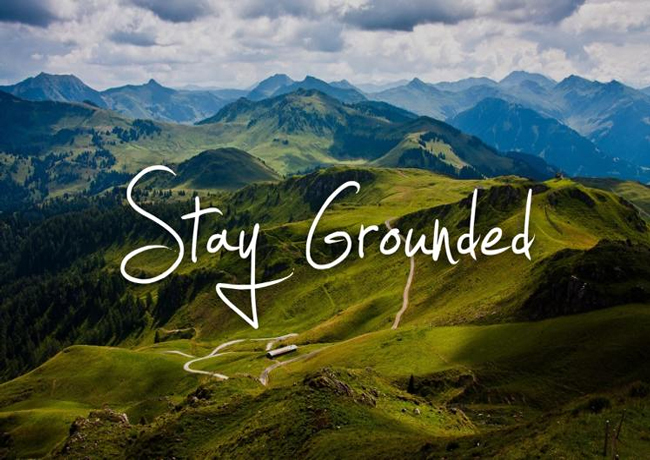 When was the last time you grounded? Can you breathe? Can you walk? Can you smell? Can you see the moon or perhaps the stars? When was the last time you dared to dance? To sing? To write your sweet set of syllables on paper? Can you taste your tears? Can you own that you feel lonely, yet you are not alone? 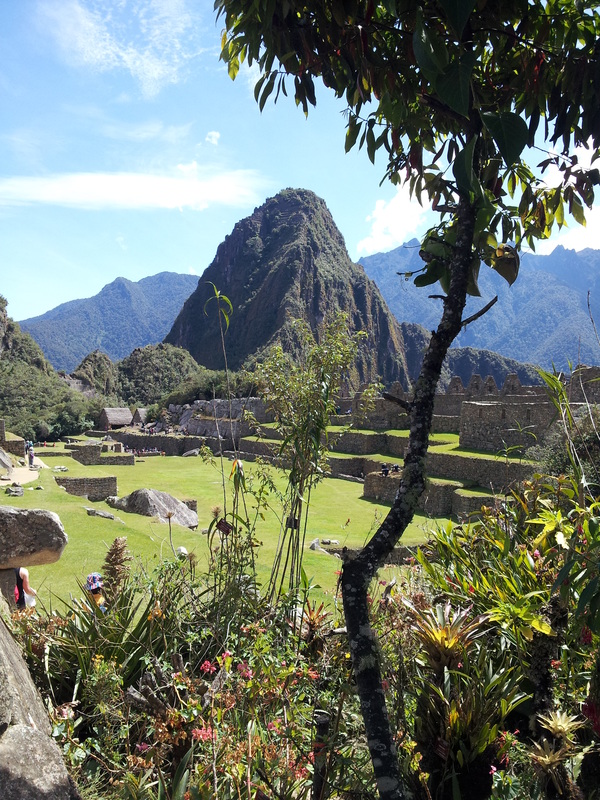 Can you feel your ancestors surrounding you? Can you not see that you are not alone in this journey? And in this very moment, you can elect to connect to something bigger than yourself, Source, The Light, Creator/Creatrix, Universal Love, The Absolute, they are All One, and they got your back! You have you! And although it's a rough time, being and feeling vulnerable, and allowing yourself to feel your pain, is part of the process of growing and letting go. Your life as you knew it no longer exists, all that has changed. This is the great opportunity for you to find and re-define yourself. Do not think for s moment that this is the end, it's only the beginning of a new cycle. Metaphorically speaking, you are dying to your old self, so that the new self can emerge. That is real transformation, you are in the chrysalis stage. Basting in the gunk from which the beautiful butterfly will emerge. I do not know if it makes sense to you, but you are not alone!!!!!!! Dare to kiss the earth with your bare feet, touch the wild flower growing through the cemented ground. Drink the sunlight and feel it, sense it coming down your core, warming and shifting your very soul." And now, tell me how you feel? Do you experience emotional swings which leave you feeling uneasy? Most often, this unsettling state may be a reaction to problems in your home environment, and it can also affect those around you. 1. Find a place to sit silently in a position that is most comfortable for you. 2. Sense or feel the base of your spine. imagine or think a cable running from the base of the spine down to the center of the Earth and establish a connection with Her. 3. 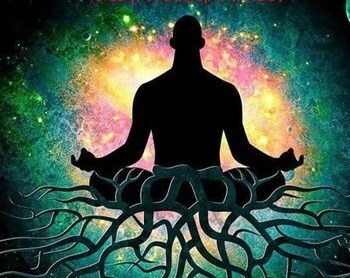 Take a deep breath and with intention, release and send all your worries and anxiety, -everything you are feeling and is disturbing your well being- through this cable, down into the soil beneath you. 4. Next, imagine your spine growing roots ( like those of a strong, ancient tree) into the soil underneath you. 5. Slowly, keep breathing and with each exhale, imagine or visualize your heavy emotions releasing into the Earth. 6. You may experience /notice a sense of being grounded. 7. Slowly take a another deep breath, imagine or think a life-force strength coming up through your roots from the center of the Earth. This energy or life-force is absorbed into your body and it expands throughout your energetic system, providing you the support you need and enables you to have a sense of well-being. Being grounded provides the balance we need to manage the emotional fluctuations. When we are feeling irritable. notice it, acknowledge it, accept it and do the exercise above. The Earth supports us by feeding us her finest nectar to ground and center us, this gives us tranquility and clarity, enabling us to cope when uncomfortable feelings arise. This powerful process gives us a great capacity to ride out the troubles we come upon, it supports our overall well being. Remember to thank Mother Earth for the finest, loving, exchange of energy. 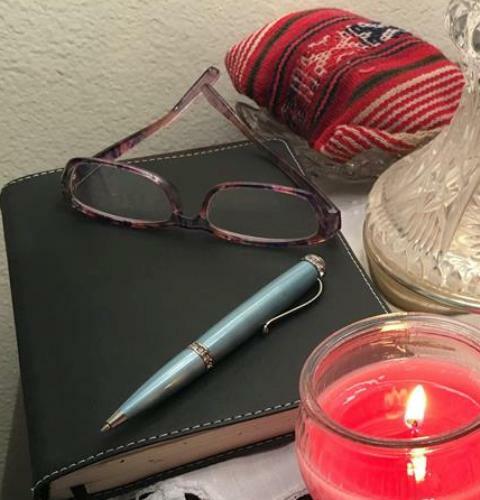 Allowing a few moments to journal about , what you cherish in yourself, opens the door to accept what makes you uncomfortable inside. Perhaps there are aspects that need to be honored and release. However, first you have to acknowledge, accept, and receive the treasures in the form of lessons. Then you can show gratitude for the wisdom they provided for your growth. This action liberates you from the past and gives you certainty, clarity and a sense of inner calm and ease. What in you wants to be heard? What is that you feel or sense it's time to listen to? Let the information bubble up, gently and lovingly and treat it as if it was a small child. What does it want from you? "I accept, honor, and love myself, just the way I am!" Each new day is a great opportunity for personal cultivation. Let us practice receptivity to the universal lessons, which are available anytime anywhere. How am I walking in service? Today, mi intent is to be in a state of being to be in communion with creation in every moment, while I am going about my day. Do you have an objective or purpose for today? How do you choose to walk throug hlife today? In Indigenous cultures around the world , a "Holy Man", "Medicine Person" mentors or tutors her/his apprentice a body of wisdom and knowledge. A Lineage of direct transmission is passed down word-of-mouth from generation to generation, without any written account in their teaching, it's an oral tradition. 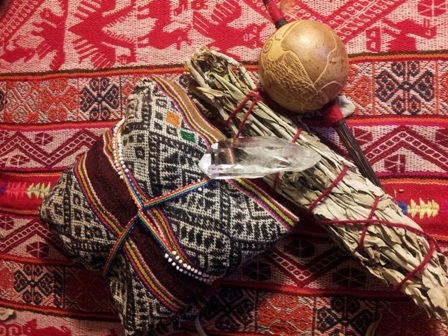 The Medicine Person, Paqo, or Shaman guides the neophyte, not only on the ceremonial practices and medicinal herbs, but also demonstrates through their actions how to be in this world. Oftentimes, the emotions we are feeling may belong to someone with whom we have had a connection. We, in every relationship, are continuously exchanging energy that can become a tie or cord connecting two people. Energetic cords can linger long after a relationship has ended. This continuous cord may leave an open conduit between you and another individual, through which energy and emotions continue to flow. Cutting the cord can help you break apart from old, unnecessary, attachments, and liberate you from connections that are no longer serving you. It also can help free a loved one to reach new stages of growth. You’re not severing a relationship, but you are severing the cords that are no longer serving you both. Are you holding onto past grievances or resentments that no longer serve you? Do you need to cut the energetic ties in order to reconnect anew? Do you need to let go off? Have these ties cost you up until this point in your life? Will they continue to cost you if you do not change now? It's imperative to understand that, a cord may simply decline to be cut off, it may be still serving a higher purpose. Remember that cutting a cord is not a substitute for doing your shadow work ( emotional work) with the involved individuals. Cutting a relationship cord should always be viewed as a positive and nurturing act. 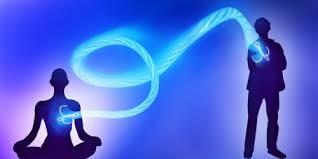 Dissolving /cutting the cords that no longer support you, liberates you and others from the ties that bind. In the school of life, we experience situations that give us opportunities to be the best version of ourselves. When we are faced with uncomfortable circumstances, we can select to become victims, or evaluate what is being triggered within us, and own our "stuff". As a Result, if you take responsibility, you can move forward. If not, you will remain "stuck" attracting the same situation, until you learn the lessons. Remember, you are not defined by the situation, you are not what happened to you. However, life is asking you to respond and take ownership of your expansion. Are you paying attention? Awareness, acknowledgment, acceptance, embrace and gratitude will be the precursor to self-love, kindness, forgiveness, transformation, this is healing. What are you experiencing right at this moment in your life? Have you notice the challenges that you are having perhaps? What have been the results of any challenging situations? Who are you when you do not have any problems or challenges? We are unique and we all have exquisite gifts to share with the world, which ones are yours? We are ending 2015 with -hopefully- o lot of releases in order to begin anew and welcome 2016 with renewed and fresh energy. This week is preparing us to harness the lovely flow of energy, which supports us to get things done! 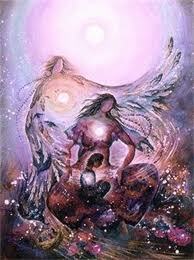 The Cosmos is really driving us forward to be aligned authentically with our purpose and mission. We are being blessed with fantastic chances for soul growth as we detach from what does not serve our highest vision. Spending some quiet time and in stillness, will help you to center and calm yourself. In this frame of mind body and soul, you ask for direction to help you shift and move forward on you soul's path. You may get a glimpse of fresh perspectives and sparks of new insight, -which are plentiful right at this moment , pay attention and listen. Immerse yourself in this magical void of possibilities and Divine Grace that is surrounding us to enhance your life! Set the intention to serve the highest good of all from a place of love, service and wisdom. Connect and show gratitude for all you were given or not given in 2015. What are you choosing to welcome into your life? Ask for clarity, be inquisitive. Write your dreams and visions, empower them with breath. Take small steps often, in the direction of your dreams. What needs improvement in your life? Is there still something that is due for release? If you are having any challenges with any of this, contact me at 818-257-0407 or send me a message to: rosalbafontanez@gmail.com I will be happy to assist you. Grounding, also called "Earthing", refers to the direct physical contact of the human body with the surface of the Earth. Our nervous systems and bodies function as a lightening shaft and our energy can accurately be “grounded” by directly being in contact with the Earth. This is Earthing (or grounding) and it refers to the discovery of benefits—including better sleep, reduced pain, improved energy levels, reduced stress and much more. Essentially, our bodies benefit from coming in contact with the Earth -The Grounding Force- on a regular basis. Positive electrons in the form of free radicals can build up in our bodies, (no bueno). 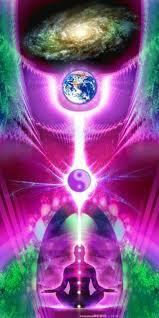 However, direct contact with the Earth , balances it out, as it is a negative grounding charge. You can lay or stand on the ground, grass, sand or stone; make sure your skin is in direct contact with the elements. Notice anything that may happen. So, from walking barefoot outside or sitting on the grass, walking on sand, or sleeping indoors connected to conductive systems that transfer the Earth's electrons from the ground into the body. Taking care of ourselves involves a lot more than taking our vitamins, supplements and working out; doing all of that is fabulous. We have to consider, that our bodies are just one aspect of our total wellbeing. Self care entails a harmonious practice that engages the mind, body and soul. Often our emotional and mental wellbeing can have a significant impact on our physical wellbeing. Some of us take great care of our bodies, but pay little attention to our feelings, our stress level, or the unconstructive self talk we engage in daily; all just as dangerous as the toxins found in our food and environment. Some of us, (raising my hand sheepishly) take great care of our mental and emotional wellbeing, reading books, listening to inspiring audios, attending seminars, meditating, being with and expressing our emotions in healthy ways but pay little attention to our bodies' signals and pleas for help. In my own journey, I am persistently communing with All That Is Divine. I ask for guidance into creating harmony in my own life and feel deep gratitude for the opportunity to share the blessings with the lives of those I serve. The following questions are food for thought, or nourishment for the soul. Your answers will offer insight that may be essential to include on your-self care practice. What do I truly want in life? What does my soul want to express? What are my basic human needs? How am I doing at fulfilling them? When I was little, what did I like doing, playing? How do I honor myself? The last question is a great component for self-reverence. 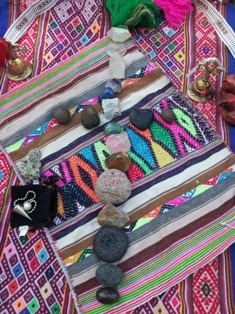 You can start by constructing a personal altar, it will be the container to hold space to connect with the Sacred Being that is you.